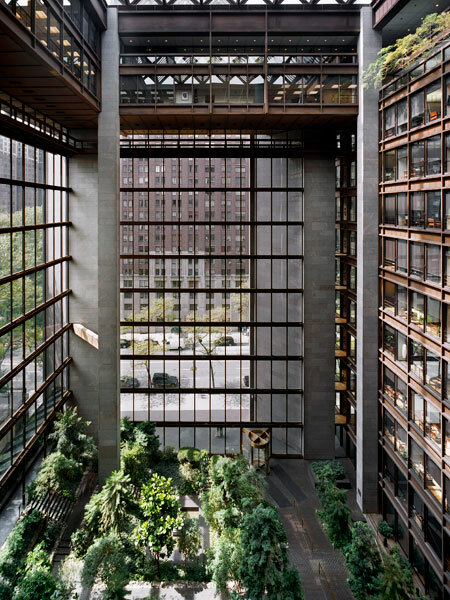 The Ford Foundation building and atrium, completed in 1967, were the product of a collaboration between Dan Kiley and architects Kevin Roche and John Dinkeloo of Kevin Roche John Dinkeloo and Associates. 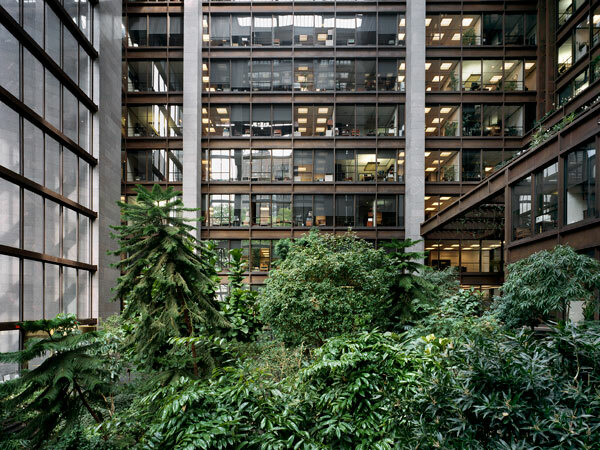 The building’s exterior is largely composed of glass panels, Cor-ten steel and brown-pink granite, with the south and east facades enclosed in glass and twelve stories of office space on the north and west sides, which overlook the atrium. 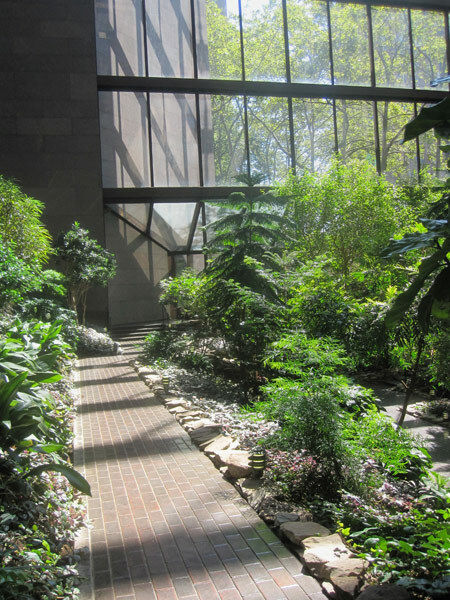 The glass walls create a temperate environment that is ideal for the atrium’s subtropical garden, while also creating a seamless flow of green space between the atrium and Tudor City Park to the east. 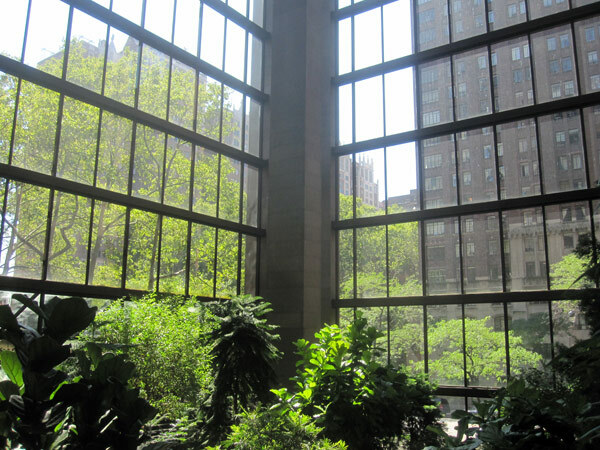 Kiley’s landscape plan, installed on the ground floor of the 160-foot tall atrium, is driven by the thirteen-foot grade change between the 42nd and 43rd Street building entrances. The primary staircase connecting these entrances is broken into three sections, the landings of which access tiered garden terraces at three levels. 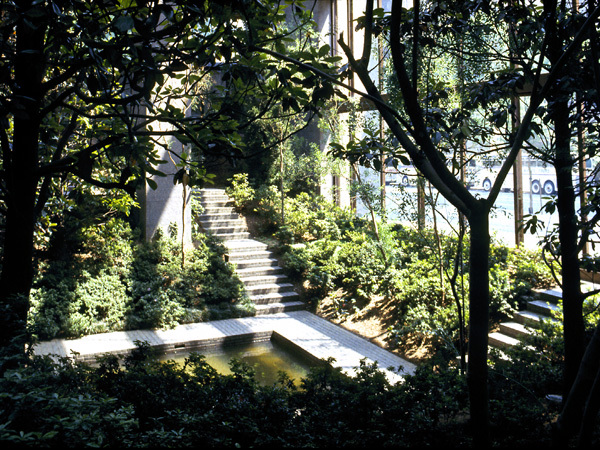 The terraces step down to the garden’s focal point, a square still-water pool edged with a wide concrete band that sits at the atrium’s lowest level. 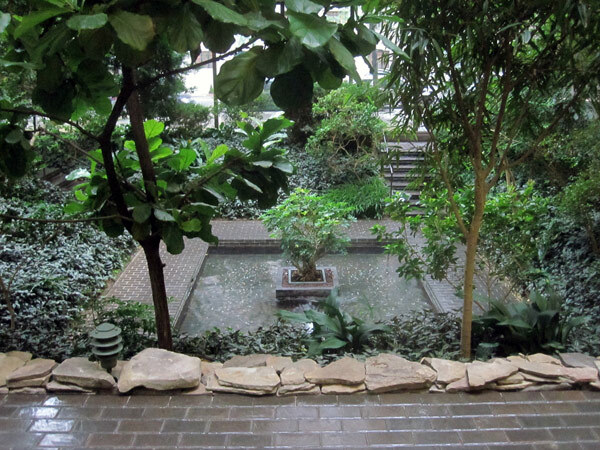 The terraces were originally planted with a dozen saucer magnolias, low shrubs and groundcovers, which were later replaced with a variety of lush subtropical plants better suited to the interior environment. Planters line the edges of the third, fourth, fifth, and eleventh floors, taking the planting palette into the upper tiers of the atrium. 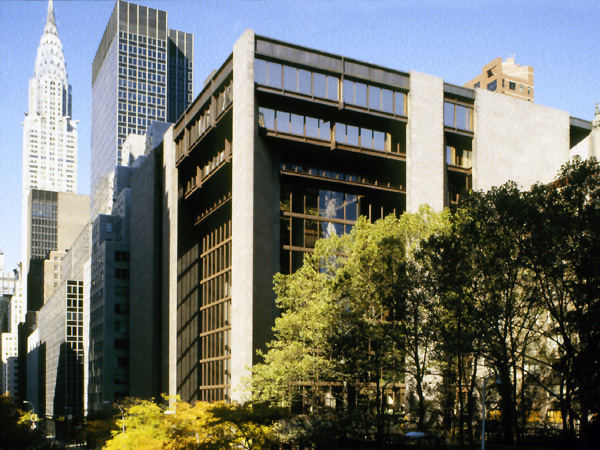 In the mid-1990s the Ford Foundation building was named a New York City Landmark.